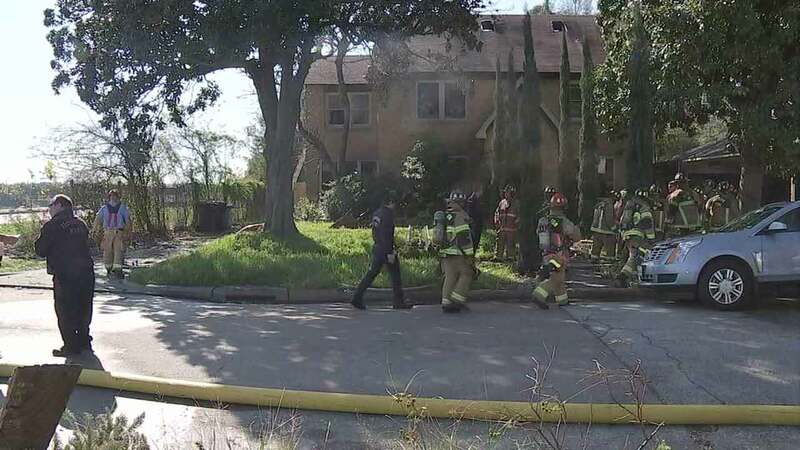 HOUSTON (KTRK) -- Two people suffered burns in a house fire near the Museum District Monday. It happened at a home in the 2200 block of Ewing a little before 11am. Crews arrived to find heavy smoke coming from the two-story home. The two burn victims were found inside and removed. According to the Houston Fire Department, the two victims had burns to their bodies, but were conscious and alert while being transported to the hospital. Their conditions at this time are unknown.